After headlines scorned Facebook for sourcing a predominately male coding cast, the conversation surrounding women in tech was sparked once again. Whether the Facebook leak is just the latest gossip or actually holds credibility, the speculation itself sparks some questions. 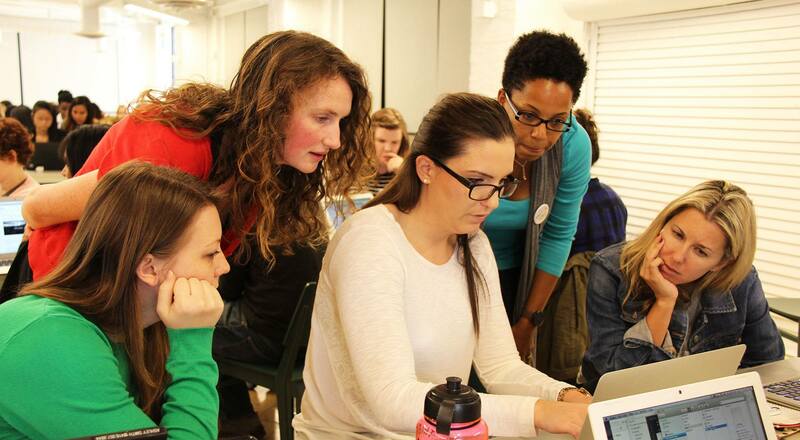 Where do women stand in the coding world, and is there a field more conducive to gender-neutrality? Working behind a screen should eliminate gender disparities. As with many roles in tech and computer science, the problem appears to exist in the infrastructure of societal stigmas around a women’s role in the workplace. Last year, this study found that women’s contributions to open source projects were more widely accepted than men’s, but only when they were not identifiable as women. Why are women still a minority in this industry? Whatever the reasoning may be, Kunche enforces that it is not women’s job to fix this broken culture, placing the responsibility on the company’s themselves to take action. Women should, however, remain focused on building each other up, fighting their way to the top and fighting for what they want.